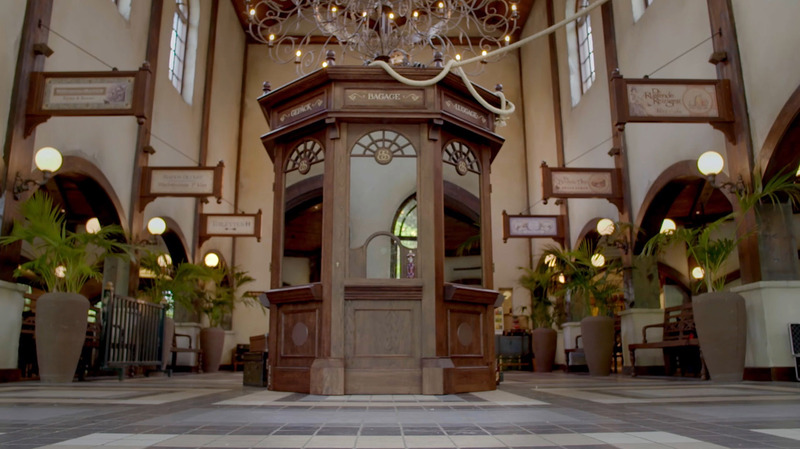 Partly commissioned by Coca Cola, we designed and built a custom zoetrope for the biggest theme park in the Netherland’s: the Efteling. 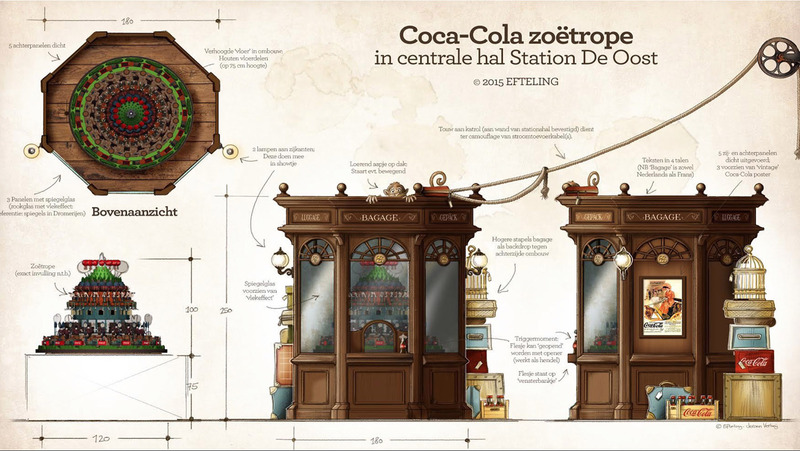 In the summer of 2015, we were approached by Coca Cola & the Efteling - they had seen our previous zoetrope Octomadness. Coca Cola was interested in having a beautiful object in the Efteling with a real authentic Efteling feel to it. So we got to work. Mid 2015, we started our first discussions with Coca Cola and the Efteling. Both have very strong identities and we were set on bringing our own flavor into the mix as well, so this was quite the challenge. Klaas Harm de Boer – the animator / director of the project – had his job cut out for him. The leading identity was that of the Efteling and their iconic designer Anton Pieck. Working very closely with the talented design team of the Efteling, Klaas Harm designed the zoetrope character by character. On June 1st 2016, we finally launched the zoetrope! When the we revealed the curtains, immediately fans starting sharing pictures and clips. If you’d like to go and see the installation, it’s located at Station Oost in de Efteling. Enjoy!